Virginia classifies DUI offenses as Class 1 Misdemeanor acts punishable by up to 1 year in jail. If you are convicted of a second, third, or subsequent DUI offense in Virginia within 5-10 years, you will face harsh penalties that include mandatory fines, jail time and the loss of your driving privileges. A DUI arrest can be a terrifying experience which worsens if it’s a repeat time. Here are the important things you should know if you’re a repeat DUI offender in Virginia. If you’re charged with a DUI, you can bet that your driver’s license will be suspended automatically. In Virginia, a second DUI offense leads to 60 days of administrative suspension. Additionally, your driver’s license will be revoked for three years and you won’t be in a position to apply for a restricted license for the first 4 months. According to Virginia Code Section 46.2 – 271, if you’re convicted of a third or subsequent DUI offense, your license will be revoked indefinitely. The penalties are harsh if you are arrested Driving Under the Influence when your license was suspended because of the same issue. If a second DUI offense is committed within less than 5 years of a prior DUI offense, Virginia law requires mandatory 20 days active incarceration and a minimum fine of $500. If the second offense is within 5-10 years of the first offense you will face 10 days active incarceration and a mandatory minimum $500 fine. Third or subsequent DUI convictions are considered a Class 6 felony. If the third conviction occurred less than five years prior to the second offense, Virginia law requires six months active incarceration and a mandatory minimum $1,000 fine. If the third or subsequent conviction is within 10 years, the minimum sentence is 90 days in jail and a $1,000 fine. In Virginia, if you are convicted of a repeat DUI offense in 10 years, you will be prohibited from driving a car that does not have an Ignition Interlock installed. This device will be installed for at least six months on any vehicle that you own or that is registered in your name. You cannot obtain a restricted license without installing the ignition interlock. For a third or subsequent DUI conviction, having the ignition interlock is not mandatory unless you have had your privileges to drive restored. You will be wholly responsible for the purchase or rent of the Ignition Interlock device. This as well involves monthly fees for the maintenance and calibration of the device. A repeat DUI offense could easily lead to the loss of your car. The Virginia Code section 18.2 – 271 states that the state can confiscate any vehicle solely operated and owned by you. In extreme cases, the judge may even order you to forfeit (basically get rid of) your vehicle. As a car owner with repeat DUI offenses, you can expect your auto insurance rates to increase. You could even be forced to start shopping for a new car insurance company since your current insurance carrier might decide to drop your coverage. Felony DUI charges usually lead to an assigned-risk insurance policy whose minimum coverage is two or three times higher than your previous rates. The assigned-risk policy leads to other insurance problems because life insurance companies may raise your rates or deny you coverage. As a repeat DUI offender, your individual health insurance policy rates can also increase and you stand to face cancellation. Virginia Code Section 18.2 – 271.1 requires drivers charged with repeat DUI to enroll in, and complete the Virginia Alcohol Safety Action Program. The program begins with an intake evaluation where you will be assigned a counselor, who will evaluate your drinking record and behavior in order to develop a specific course treatment. Failure to complete the program could result in the imposition of your suspended jail time. With repeat DUI offenses, you could be named a Habitual Offender and your records will always show this. You also stand a chance of getting terminated from your current job. Since most companies run background checks before employing an individual, you could end up losing many great job opportunities. Every time you apply for a job, you must check the “yes” box regarding convictions. Repeat DUI convictions could threaten your ability to qualify for security clearances or jeopardize your current standing if you already have a clearance. This especially impacts individuals working at military bases and other government sites. Individuals with continued DUI pattern risk being discharged because of their security clearance standing. If you are facing a potential conviction for a repeat DUI offense, it is in your best interest to work with an experienced attorney. Swango Law P.C. 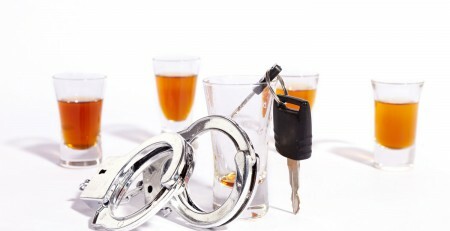 has extensive experience defending individuals facing repeat DUI charges. Our DUI defense attorneys will review your case and analyze all the facts in order to develop an effective strategy to help secure an ideal outcome. Call us at 757-383-9229 or contact Swango Law Firm P.C. online to schedule a consultation.